I’ve got a busy week coming up! (Nancy, not Sharon – although I’m sure she’s busy too.) 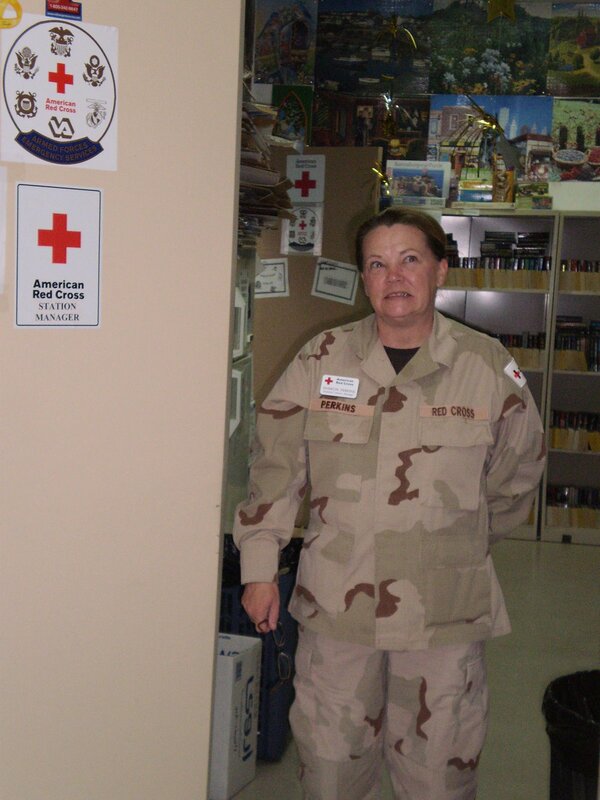 She’s busy helping soldiers in much less happy ways than I get to help people around here. I’m glad she’s there to help. Coordinating all the food for a Ladies’ Sneak-Away local retreat at our church for around 120 next Friday/Saturday. Needless to say, there’s a lot to be done. Pray for me for stamina, focus, creativity, attention to detail and lots of volunteers. I didn’t plan it this way, they just all kind of fell close together on the calendar. 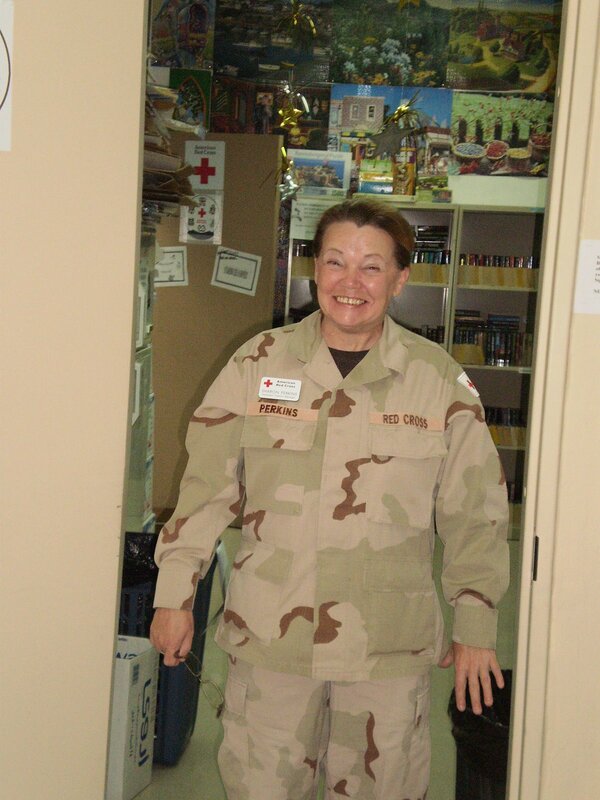 So instead of writing more about me, I thought I’d post a new journal entry from Sharon in Kuwait. Here are a couple of pics that she sent too. Outside the wire there is nothing. Nothing but dirt, dust and sand, nothing. The perimeter wire is a very tall fence topped with razor wire, like the ones surrounding prisons. Inside the wire is more sand, dirt, dust topped by concrete buildings, beige tents, blast walls, bomb shelter bunkers and military tactical vehicles. But there are small signs of life. Underneath a camouflage net, a little way from the bunker, a watermelon seed grows in a pot placed on a homemade picnic table constructed from scrap lumber. I am told that a soldier who planted it now lives at Walter Reed VA Hospital as a Wounded Warrior. He was so desperate to see something grow he dug the seeds from his watermelon at lunch one day. He found a pot and some dirt and planted the watermelon seeds. He nurtured and watered the seeds, until he got wounded and was sent to the hospital. His battle buddy found the plant while cleaning out his friends hooch after he was injured. He brought it down to the table for sunlight, where he waters it regularly. The watermelon plant is now 3 inches tall and growing here in a war zone, in the middle of the barren desert, inside the wire of Camp Arifjan. There is a sign of life here now. A sign of growth and nature. A thing to be nurtured and cared for and coaxed into creation. A seed of Hope and Faith . A spark in this place of dreary lives and landscapes. A seed is growing in this place. Imagine that, a seed growing, so tiny and fragile. Growing the way all of life and hope begins, from a tiny seed. Quite a different world she lives in right now, huh? Pray for her as well, for stamina, creativity, compassion, patience and that she continues to see God’s beauty in such a desolate place. If you want to read more about Sharon’s journey go here.